I keep seeing this fun palm leaf print everywhere, I even just ordered a shirt in this print. 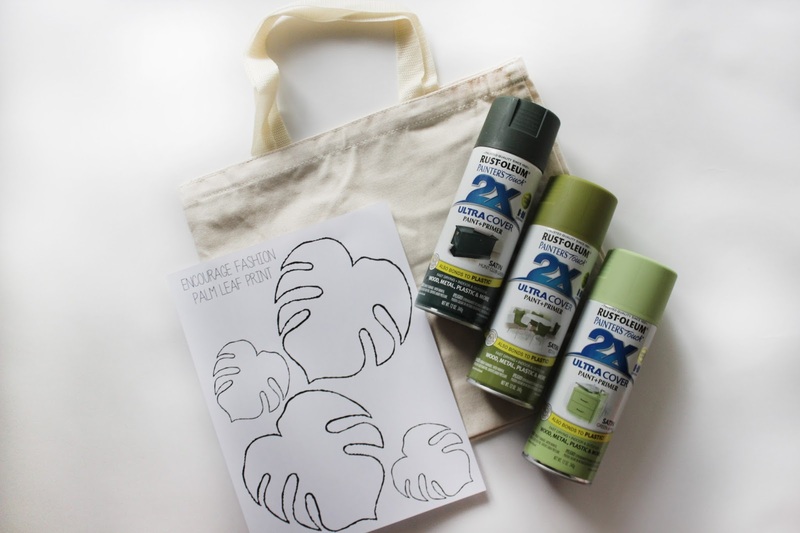 I love the way the leaves look so I created this fun and easy DIY for you lovelies! I printed out multiple pages of the palm leaves so I had a variety to choose from. Lay them out on your bag how you want them to be. I attached a little piece of tape so they wouldn’t move when I spray painted on the canvas bag. 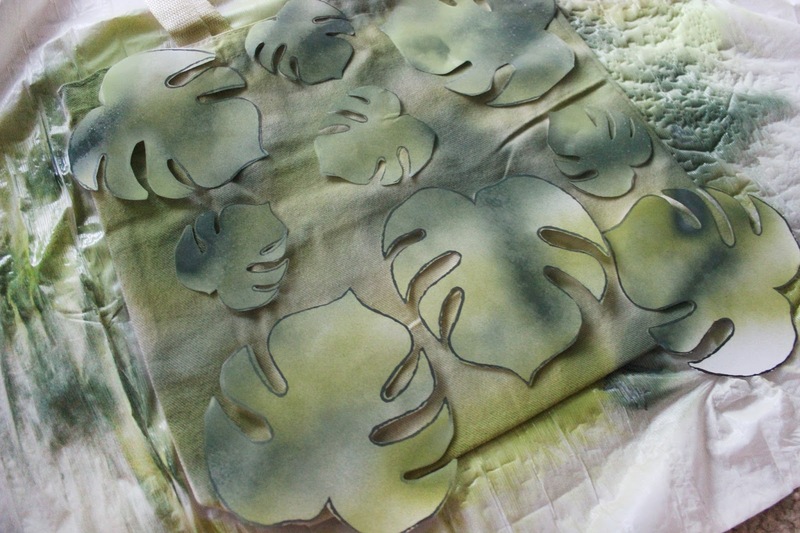 I went with three different green colors, but you can do whatever color you choose! 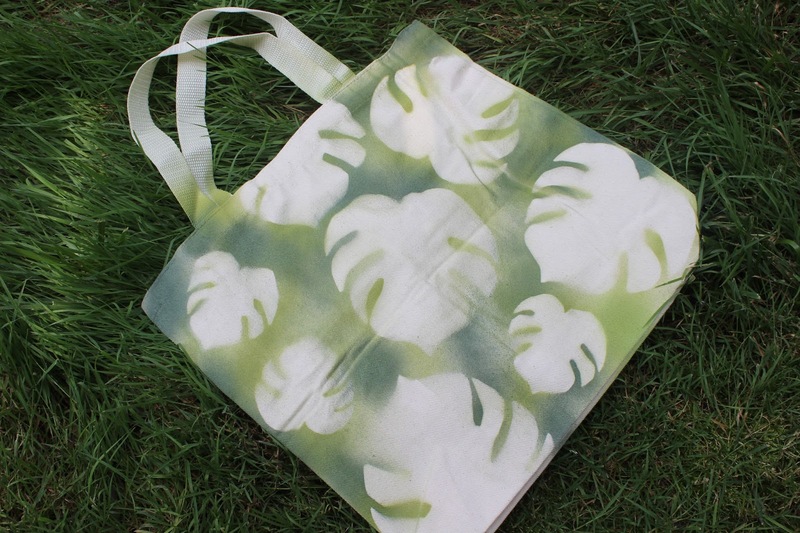 Layer the colors on the canvas bag. 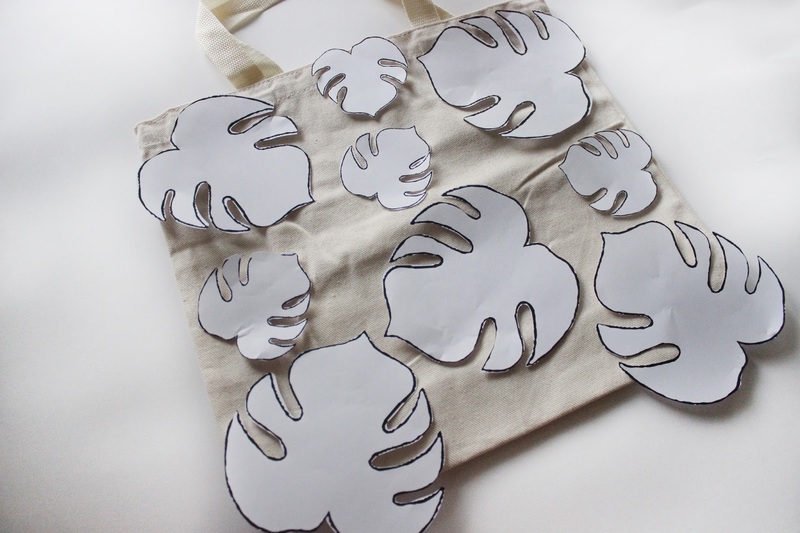 Remove the palm leaf cutouts and let your bag dry. Then you’re done! I love how it turned out! 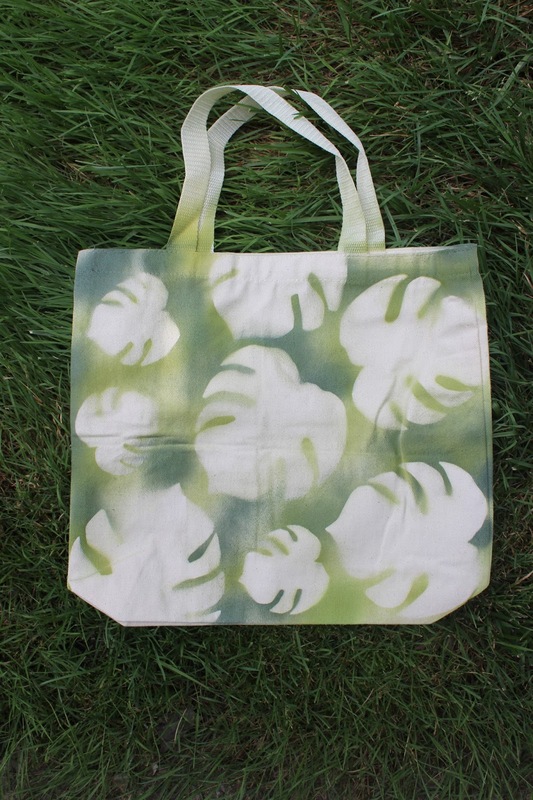 It would even be cool to do an inverted print and have the color in the leaves! That might be my next DIY! Thanks so much for reading and happy DIYing!